Creating custom maps is so much fun! I love discovering my clients favorite spots and getting to know about new and fun places to visit. 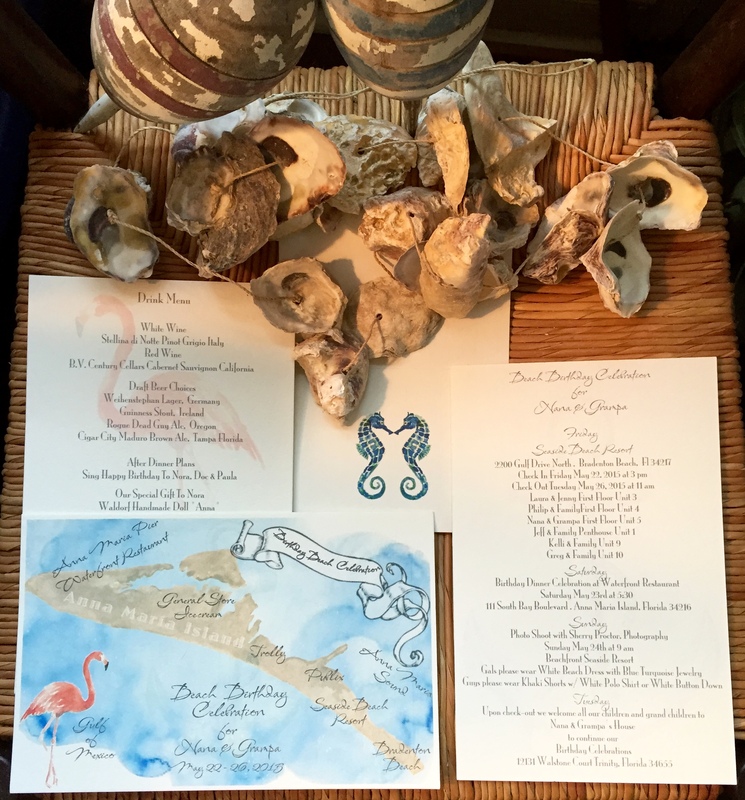 I have created several Florida Keys “Bucket List” wedding maps, with favorite spots of the bride and groom for their out of town guest to visit. But this map was designed as an invitation for a family birthday celebration on Anna Maria Island. It was fun to put all the destinations and events for the family. The reverse side was the actual invitation and the weeks itinerary. My favorite detail? 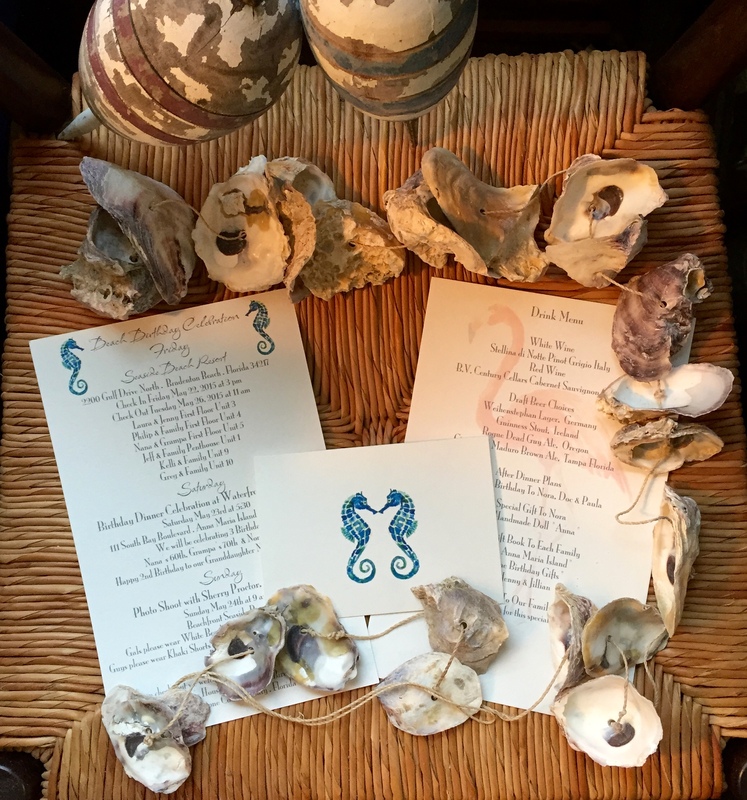 All of it; the map, the dinner celebration menu and the thank you notes. Thank you Paula for allowing me to be part of your amazing family celebration.